An RSS feed (or news feed) is a means by which you can stay informed about what's going on at Valley Shore Acappella without having to regularly visit the website. 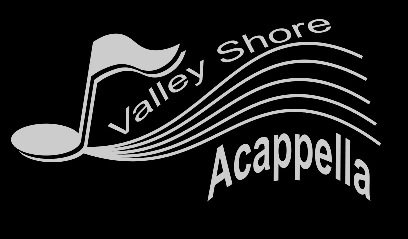 Who is Valley Shore Acappella? 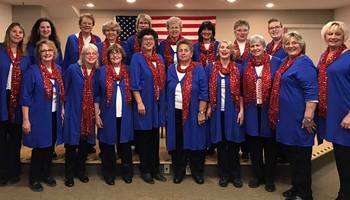 Valley Shore Acappella, a chapter of Sweet Adelines International, comprises 25 women from all over the state of Connecticut. Our singers range in age from college students to retirees. We represent many diverse backgrounds and walks of life, including health care, law enforcement, education, business, journalism and even dog grooming. We are grandmothers, daughters, sisters and mothers and friends who share a love of music: four-part barbershop harmony. Our rehearsals are open to the public and to potential new members, so why not pay us a visit? We rehearse every Wednesday evening at 6:30 PM, at the East Lyme Senior Center in the East Lyme Community Center, 41 Society Rd, Niantic, CT. Click here for map. Want Valley Shore Acappella to sing at your next function? Why not hire Valley Shore Acappella to entertain at your next event? We can perform at corporate functions, charity events, community Entertainment events, birthday parties, christmas parties, awards nights, weddings, engagements, anniversaries, engagements, and even funerals and memorial services. April 4 2018 Performance at the East Lyme Community Center.